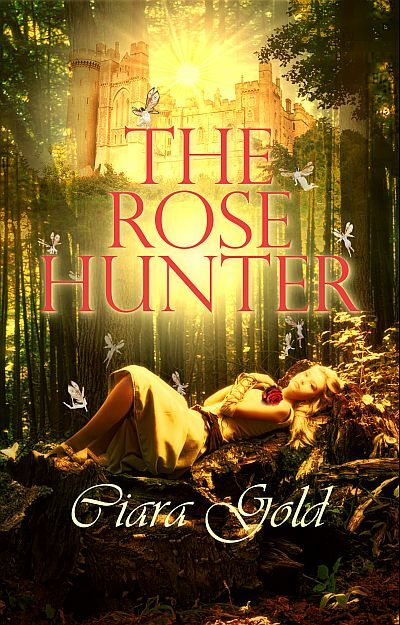 Ciara Gold jumps onto the World Blog Tour!!! 1. What am I working on? I'm desperately trying to finish a sequel to the Keeper of Moon Haven. I finally figured out the ending so I'm excited about that. My goal is to have it completed and submitted before I go back to teaching in the fall. 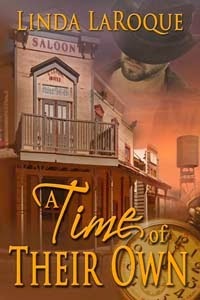 I'm also working on another historical western but I'm a tad stuck on the direction I want it to take. I figure my characters will lead me around in their own merry little time. Well, I write in several different genres, but I think the thing that sets me apart is the ability to come up with fairly unique storylines. I try real hard not to use the typical plot gimmicks or if I do, I try to present it in a unique way. My characters love to take twists and turns. I'm a tried and true Pantser. Outlines are too restrictive for my imagination. If I write one, I rarely stick to it. My one and only writing partner, will attest to that. I recently co-authored a book with M. W. Davis (Big Mike as we fondly call him) and he drafted a pretty solid outline. My character just couldn't stay on that trail. She hiked all over the place so he was constantly readjusting. He was great to work with though and took it all in stride. 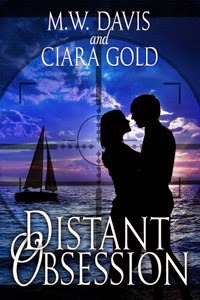 The end result was Distant Obsession, a romantic suspense that should be available on August 4!!! You can find it at Champagne Books or Amazon on August 4. But it's available now at All Romance EBooks. After years struggling to succeed as an artist, Lilah Randal accomplishes here dream, only to return from her first sold out exhibition to find her husband and his mistress in bed, murdered. For a year she’s persecuted by the cops and media, accused of killing the Senator, her husband. With no proof, only suspicious, the police give up, but not the news hounds, nor the discomforting phone calls or late night attempted intrusions into her home. Reluctantly, Lilah stalls her career, assumes a different identify and begins fresh, hiding in a small town far away from the attention of DC. Her days are filled with new vigor as the serenity of the Cherokee Valley surrounding Watauga Lake feeds her creative muse under a fake alias, Carmen. Yet her nights remain hollow, like her marriage to the Senator, until she becomes obsessed by the allure of a stranger that glides by her cabin in his sailboat. Both his male form and solemn expression bleed into every painting, every midnight fantasy, until her new dream becomes reality. Lilah learns her future will remain corrupted by the past until she solves the secret behind her husband’s murder and explores her attraction to the mysterious sailor. Our third day on the Rhine River had us taking an excursion to the Zaanse Schans. We arrived there right when they opened so we had the park to ourselves for at least fifteen minutes before more folks filtered through the gates. We started our explorations with a short train ride that showed us only half of what the park had to offer. We got off in an area that housed the weavers house and the printmaker's house. We were only given about an hour and a half but I could have stayed all day. Several of the exhibits actually had working artisans to demonstrate various techniques from the 17th or 18th centuries. Met a man who tended the boat builder's shop. He spends his off time in New York with an uncle who's a master landscape architect. Also saw the blacksmith and the washer woman. The wash house fascinated me as the agitators for three large wash tubs were powered by windmills. You can see my post on this at Cowboy Kisses complete with a short video of the agitators in action. The last picture shows a bed in a cabinet. They would crawl in and close the doors for privacy but this bed cabinet was in the main living area of the house. So, on June 20, my mother and I as part of a group of twenty, flew to Amsterdam. Our first stop was a visit to the Van Gogh Museum which of course was an art teacher's dream. After that, the bus took us to the MS Gerard Schmitter, our home on the Rhine River for the next 5 days. Anyway, I'm going to post a few pictures of our first day abroad. Yes, not the most flattering photo of me as the sun was in my eyes, but it shows our first glimpse of the famous windmills. That night I experienced a rather interesting excursion where we took a smaller boat around the canals to see Amsterdam at night. My mother wasn't up for the excursion so I went alone. On board, there were 20 Americans, about 30 French, 20 Scandinavians and a couple from Argentina and one from New Zealand. Well, none of my group elected to go so I found myself among a group of French who spoke little if no English. The guide walked us to the boats and put me on one with the French. The tour was lovely but when we docked, the guide said she had to wait for the boat of Scandinavians before she could walk me back but I was welcome to go with the French. A small group welcomed me into their midst. So, there was me, the couple from Argentina who only spoke Spanish, and the couple from France. The Frenchman spoke a little English and kept me company while his wife spoke enough Spanish to keep the other couple company, but we struck up a bond of sorts so we always said good morning each day.